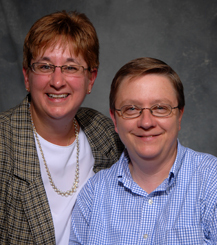 Basta and partner Terri Worman work on gay political and seniors issues. Basta's involvement includes Equality Illinois. Worman is Manager of State Operations for AARP Illinois, working on advocacy, education, and community service.